Many choose to believe that just because they have experienced so much in their lifetime, and because their life is and has always been a certain life, that one day can't change everything. Though it is much easier to hold on to the past and who you used to be, we must all realize that with one moment we can create a new beginning for ourselves if it is truly inside of us to do so. In life we are permitted to do whatever our own minds allow us to do, and we have to understand that everyday and in every waking second, we have a chance to start a new beginning, a chance to start with a clean slate and work towards the things that our most in our hearts. Don't waste time worrying about yesterday, your past is your past and will always be so. 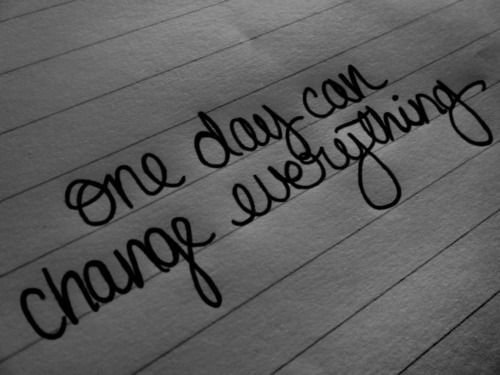 Worry about the present, who you are now, and who you will eventually become, and live it! It is true that a lot of us believe that we are somehow confined to the walls that society puts around us, in fear of being thought of as weird or different and outcast from society. Yes it is true that always being yourself may take you out of positions that you may of thought could help you immensely, maybe for example a job you wanted but werent able to attain because of your personal traits. Dear you, I miss you. 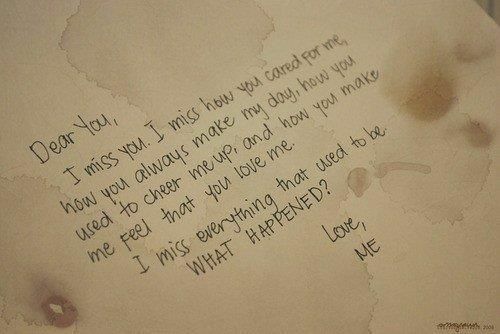 I miss how you cared for me. Have you ever had to take a step back and ask yourself who the person is that you have become? Some of us have and some of us are even on the road to becoming someone that we know we truly arent at our hearts level. Right now examine the things that you do most weekly. Do you spend a majority of your time with people that are taking you towards whatever dreams or goals that you may have for yourself, or do you spend time with people who are dragging you down to where they want you to be instead of encouraging you to be where you want to be. 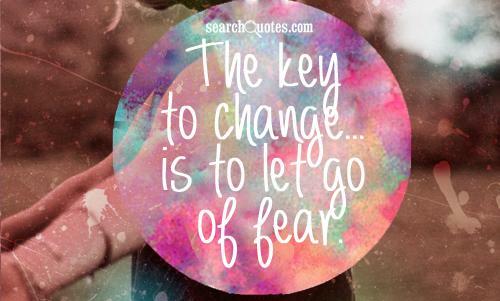 One thing that is critical to becoming a success in life is learning how to separate ourselves from becoming attached to our fears. Living with courage will teach you many things, especially in relation to developing and maintaining success and happiness in your life. 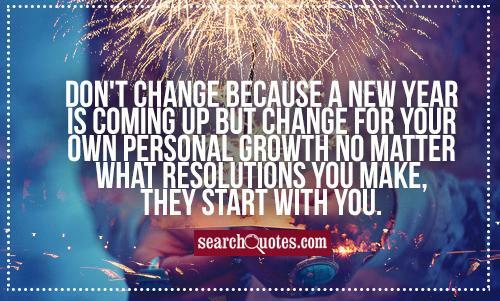 Don't change because a new year is coming up but change for your own personal growth. No matter what resolutions you make, they start with you. Real champions never become champions by luck or coincidence. Real champions become champions by developing a winner's mindset and using it to get to the places they desire to be. The mindset of a champion allows for them to win in life because it prepares them for the challenges to come, giving them a slight advantage over everyone else.. 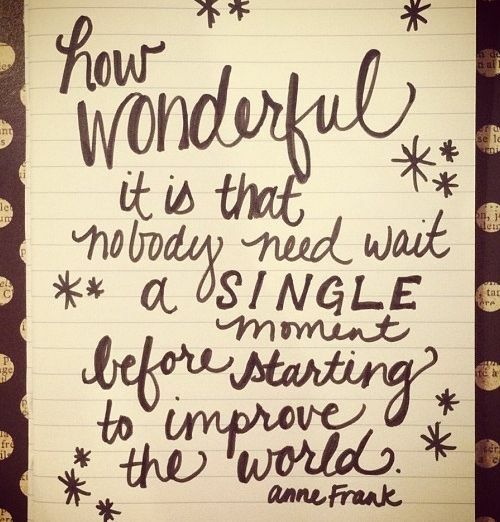 The time to improve the world is now. You don't need fancy cars, or boatloads of money to help make changes to the world every day.